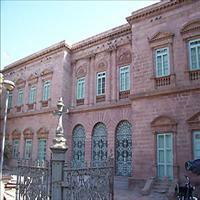 Bhuj founded in 1548 AD by Rao Khengarji I, was the capital of the former princely State of Kutch. 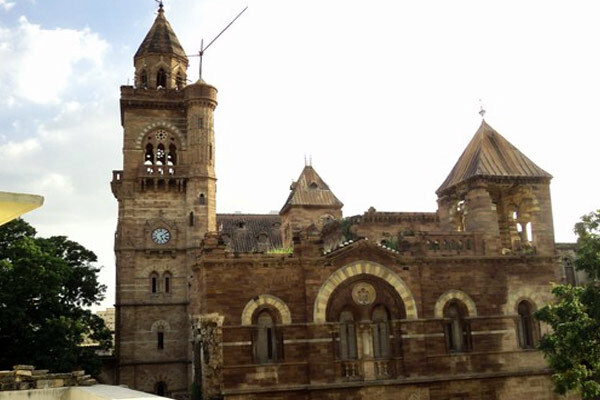 The historic city of Bhuj derives its name from the Bhujiyo Dungar, a hill, overlooking the present day Bhuj town from te east and has Hamirsar Lake on the west. You can lose yourself for hours in the intricate maze-like streets and alleyways of this fascinating town. There are walls within walls, attractive crenellated gateways, old palaces with intricately carved wooden pavilions, and striking, brightly decorated Hindu temples. Rao Pragmalji, who ruled Kutch from 1860 to 1876 AD, undertook many projects, such as- improvement of Mandvi harbour, construction of roads and irrigation works, hospitals, schools and a jail. Rao Pragmalji constructed three royal palaces- Prag Mahal and Ranjit Vilas Palace at Bhuj and Vijay Vials Palace at Mandvi. 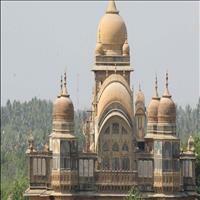 The Aina Mahal or the Mirror Palace is the 18th century extravagant creation of Maharao Lakhpat. 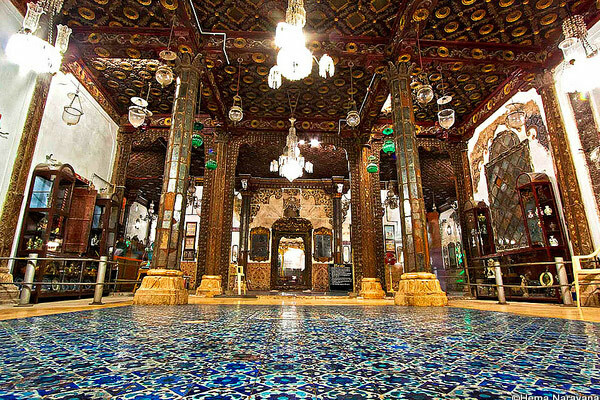 A master craftsmanship of Ram Singh Mallam, the Aina Mahal, is considered to be the best of palaces from the interiors in India. Built in typical European style, Dutch and Venetian tradition, it is said that the king specially sent Ram Singh to Holland for 17 years to learn the craft of mirrors and tiles. The hall of Mirror has white marble walls covered with mirrors and gilded ornaments and the floor is a pleasure pool lined with tiles, with a platform above it surrounded by a series of fountains operated by an elaborated system of pumps below a Venetian chandelier. Another remarkable feature is the pleasure pool, in the middle of which rises a square platform where the king himself composed poems and gave encouragement to the classical arts of dancing girls, bards and musicians. \r\nJust across the Aina Mahal, a complete European, rather British structure is seen. That is the Pragmal Palace, built in 1797. 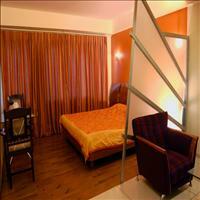 Its tower and Corinthian pillars display strong British influence through its floral patterns. 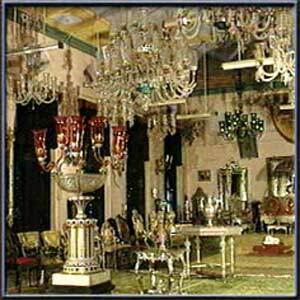 The magnificent Durbar Hall and the clock tower are worth a visit although most of the palace is used by the Government now. Earlier known as the Fergusson Museum after its founder, this is one of the oldest Museums of the state established in 1877. 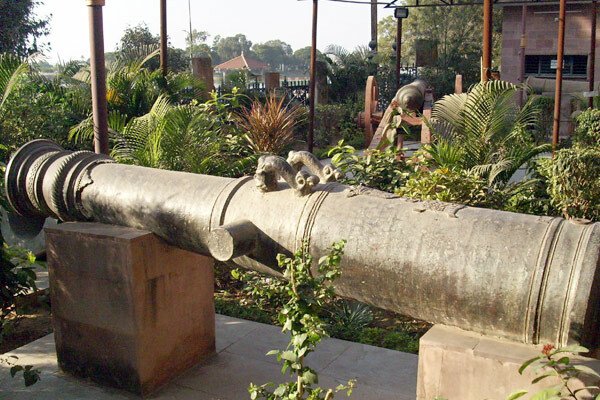 It is unique in having the largest collection of Kshatrapa inscriptions, for its gold and silver ornaments, textiles, armoury and other exhibits. The well maintained exhibits also include a picture gallery, an anthropological section, archaeological finds, textiles, weapons, musical instruments and a shipping section. Gandhidham, nearly 60 kms from Bhuj, was established and built specifically for the displaced families aftre the partition. 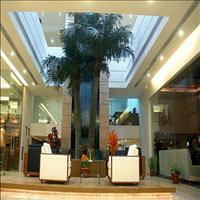 Kandla a major port and the only free trade zone of the country, is very close by. 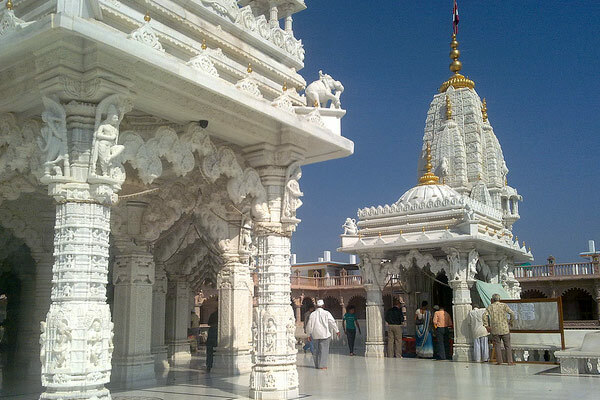 Around 25 kms from Gandhidham, on the way to Bhuj, is the Purneshwar temple built in the 10th century. The temple is raised on a high plinth and has some fine sculptures on display. 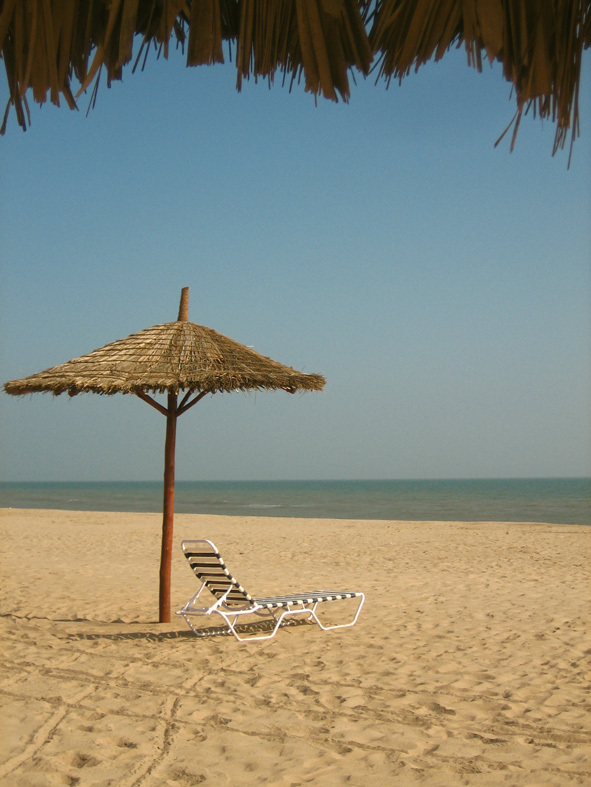 This beautiful beach town is just two kms away from Gandhidham. 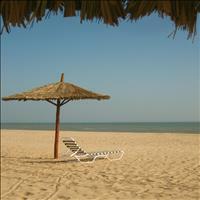 One of the finest beaches of Gujarat, Mandvi port was an important trade post between the near east and the Far East. The Mandvi port brought lot of prosperity to the royal family of Kutch and therefore they build beautiful palaces here overlooking the vast ocean. 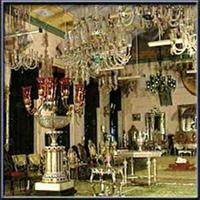 The Vijay Vilas palace is such splendid example of the royal structure. The sailors of Mandvi are known to be adventurous, and it is said that even Vasco - Da -Gama used a sailor from Mandvi to navigate to Zanzibar. 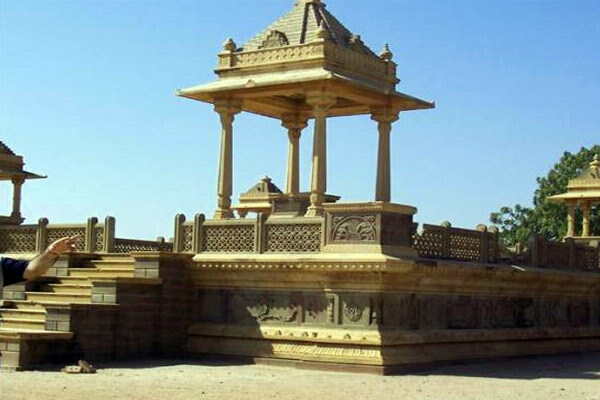 \r\nThere are also a number of villages around Bhuj, which offer a cultural fiesta to the traveler. Special permits have to be obtained from local government offices in Bhuj to visit these villages. 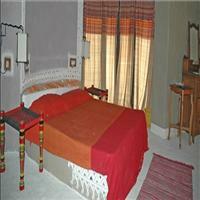 Some of the important villages near Bhuj are Bhujjodi, which is famous for weaving. Padhar and Dhaneti are famous for traditional Ahir embroidery. 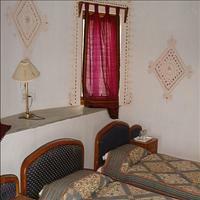 Dhamanka is known for block printing. Lilpur is known for its embroidery while the village of Anjar is famous for block printing, tie and dye items and traditional betel nut crackers. The village of Dholavira is an ancient site associated with the Indus Valley Civilization.